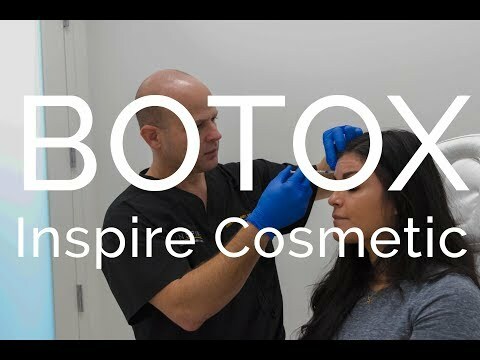 At Inspire Cosmetic Surgery & Med Spa in Delray Beach, FL we offer BOTOX injections for new and current patients at our practice. This injectable is made up of a purified strain of botulinum toxin type A, which temporarily relaxes dynamic wrinkles, including frown lines, smile lines, and the fine lines around the eyes (or crow’s feet). Men and women both enjoy the cosmetic benefits of BOTOX injections! This nonsurgical treatment lasts 3 – 4 months, and generally takes 45 minutes to an hour for maintenance injections. BOTOX is known world wide for the way it relaxes the muscles under your skin where frequent contractions have created dynamic, noticeable wrinkles over time. Look younger and more refreshed with BOTOX injections today. Defy your age with this injectable fountain of youth. Dysport® is another wrinkle relaxer we use at Inspire Cosmetic Surgery & Med Spa, which is comparable to BOTOX Cosmetic, does a fantastic job of diminishing wrinkles on the face, and around the mouth and eyes. We implement Dysport injections for patients so they can look younger, not as tired, and refreshed. These injections typically last 4 – 6 months, and our patients with superb results! By temporarily relaxing certain muscles in the face, Dysport allows you to smile, frown, furrow your brow as long as you want without adding to dynamic wrinkles in the skin. BOTOX has transformed the lives of millions of people, and you can be one of them. Many of our patients enjoy the benefits of BOTOX as it is a safely and effectively decreases facial wrinkles and age lines. We invite you to contact our office with your questions and to make a consultation appointment for your personalized treatment at Inspire Cosmetic Surgery & Med Spa.